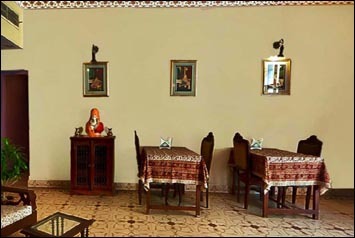 The restaurant offers the mix of Indian classical dishes as well as new innovative creations from across the nation. This gourmet paradise reflects flavors of India in a contemporary way, served in a gourmet dining ambience. Our Family Restaurant is Vegetarian Restaurant, where you can get tasty and pure vegetarian dishes. 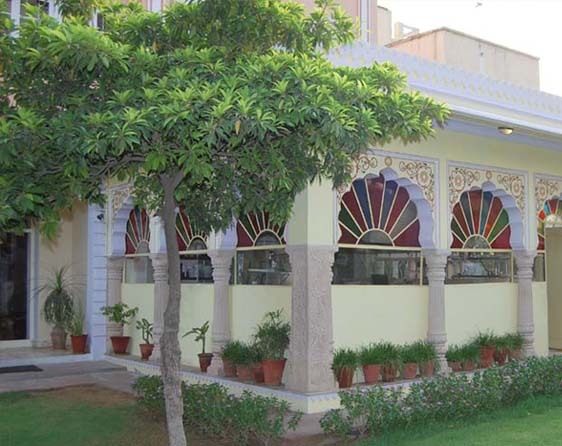 The Hotel has the exclusive garden restaurant with a pleasant natural ambience, offering culinary delicacies from the magnificent Rajasthani kitchen. Observe top class dinning with the aroma of delicious meals and services. Also take opportunity to enjoy the amazing candle light dinner at an upscale vegetarian specialty restaurant. The restaurant is the perfect place to instigate your taste buds. Here you can choose from a variety of snacks and different types of meals options like small meals, regular meals, combo meals from the day long available menu. Relax amidst lush surroundings and enjoy a generous spread of the choicest snacks and specialty dishes in addition to the invincible flavor of Indian, South Indian, Chinese and Continental Cuisines. 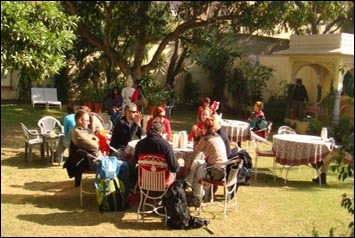 In addition to this, we serve a blend of beverages of national and international moods. Anuraag Villaâ€™s kitchen is the best segment of our boutique hotel. We take proper care of hygiene and sanitation. Our kitchen is transparent and interactive as the guests can see the process of preparing food. Our motto is to serve delicious and remarkable food and drinks that meets the highest quality standards in terms of freshness, cleanliness and seasonal taste. It combines international as well as traditional Indian styles of cooking. We serve warmth and integrity to our guests. Our clients are welcomed by heart in the kitchen and they are also allowed to prepare their flavor. One of our German guests prepared pan cake. The aroma of that pan cake won everybodyâ€™s heart. Even today it is served in our restaurant prepared with the identical method. 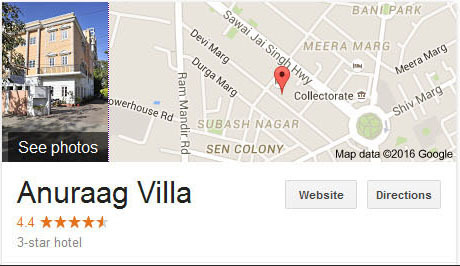 Therefore, Anuraag Villa has a restaurant that is comprehensive and exceptional in every way.